"THE CHIEF IS NOT COMING BACK." 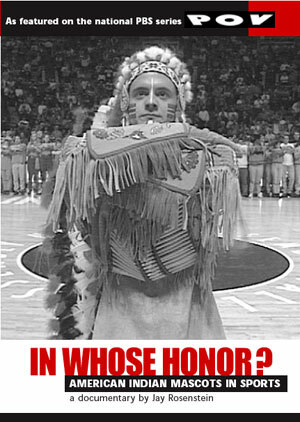 "This story is about more than an inappropriate mascot. It’s about culture, identity and how we are all capable of making a real difference." "A graphic and eloquent examination of racism in sports and so called 'higher education'. Catching bigotry at its most virulent, this film requires no interpretation - it speaks directly to the problems without blinking. A masterpiece of camera art and realism." -(the late) Vine Deloria, Jr.
NEW! Stream IN WHOSE HONOR? from New Day Films or Kanopy!